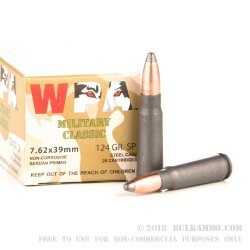 Get the original steel cased 7.62x39 with these 124 grain jacketed soft point rounds from Wolf’s Military Classic line! Wolf was the first company to import steel cased ammunition to the United States consumer market, and they’re still among the best out there. 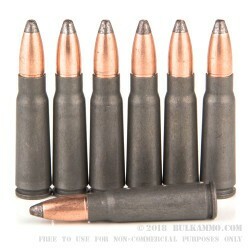 They prove that with these rounds, a 124 grain jacketed soft point in their Military Classic line. 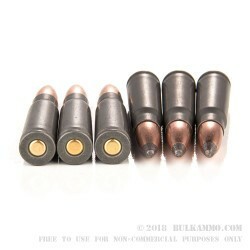 These bullet is great for everything from target shooting to deer hunting, and when loaded in Wolf’s polymer coated steel cases, will feed through your AK or SKS with no issues. The steel cases are Berdan primed, so you don’t have to worry about picking up brass on the range. Simply shoot and scoot, with no brass to save for reloading. 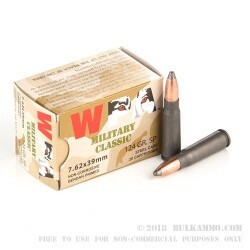 Packed in 500 round cases, these Military Classic 7.62x39 rounds are a great balance between shooting a lot, and not breaking the bank.